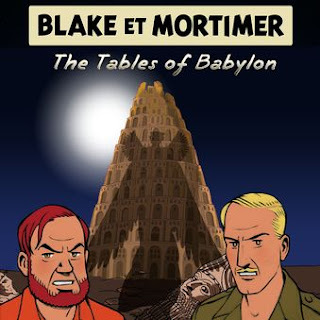 Fans of Blake and Mortimer, the bande dessinees adventure saga published in the UK by Cinebook, may be interested to know a new PC game based on their adventures is now on sale. Explore, enjoy and think is the key formula of Blake and Mortimer and The Tables of Babylon (which we suspect has been wrongly translated from French - that should be 'tablets'), an adventure full of mini-games that will lead to the search of the first origins of writing in the ancient Sumerian empire. 1956: The Suez Crisis. While Paris, London and Tel Aviv are under pressure from Cairo, mysterious murders decimate the very select circle of archaeologists. Is there a link between those facts and the various threats that are terrorising the free world? 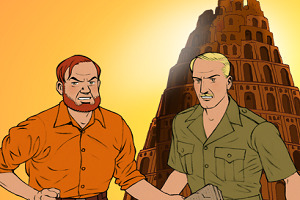 You will have to be clever and work alongside with Blake and Mortimer to investigate in riddles, as well as scientific fantasy. This will take you all around the world: the sources of civilisation ... into the ruins of ancient and mysterious Babylon. The suspect translation of the title aside, the screen shots on Get Games suggest this could be positively fiendish to complete. 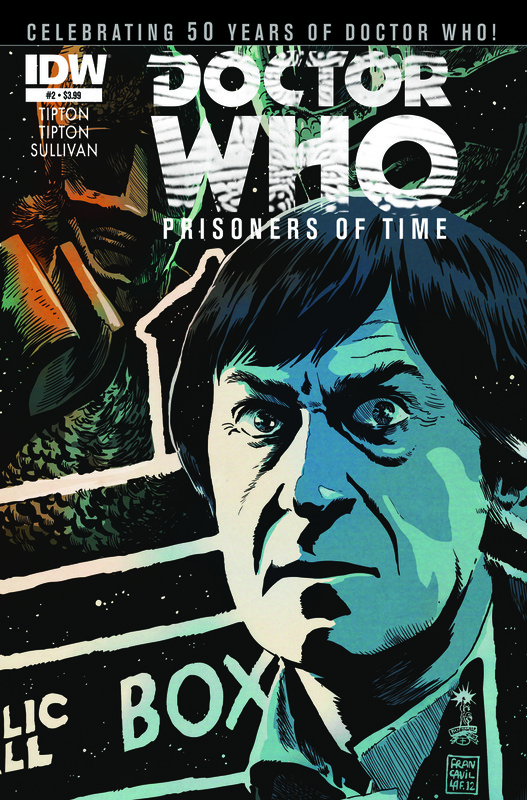 (Updated 25/2/13): British comic creators will be heavily involved in US publisher IDW's Doctor Who at 50 celebrations for their 'Prisoners of Time' maxi series, which launched last month with a First Doctor story drawn by Simon Fraser. 'Prisoners of Time' will feature every incarnation of the Doctor, as well as a long list of villains, including the Ice Warriors in Issue 2 and the Zarbi. downthetubes caught up with Issue Two's artist Lee Sullivan, who has a long-standing connection with Doctor Who dating back to the 25th anniversary comic story Planet of the Dead for Doctor Who Magazine, which featured every Doctor to date. His Daleks are considered second to none by most Who comic fans, but Ice Warriors featured in the Radio Times Doctor Who strip he drew. downthetubes: What have you been up to recently as an artist? Lee Sullivan: Nothing in comics. Mainly, I've been working in educational publications for people like HarperCollins, although I have drawn a mini Eleventh Doctor comic-strip for the forthcoming Royal Mail stamps release, which will be included in the premium package, and will be providing Who art for a forthcoming BBC Worldwide Celebratory something-or-other. 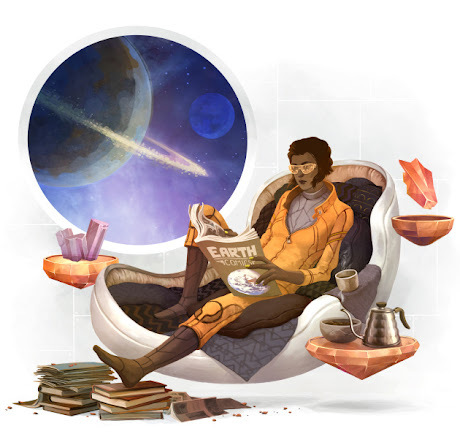 I'm also providing illustrations for Dan Freeman's Minister of Chance SF audio drama. downthetubes: How did you gain the commission to draw the second issue of 'Prisoners of Time? Lee: I'd been in contact with commissioning editor Denton J Tipton for a while, and he finally found something he thought would suit. 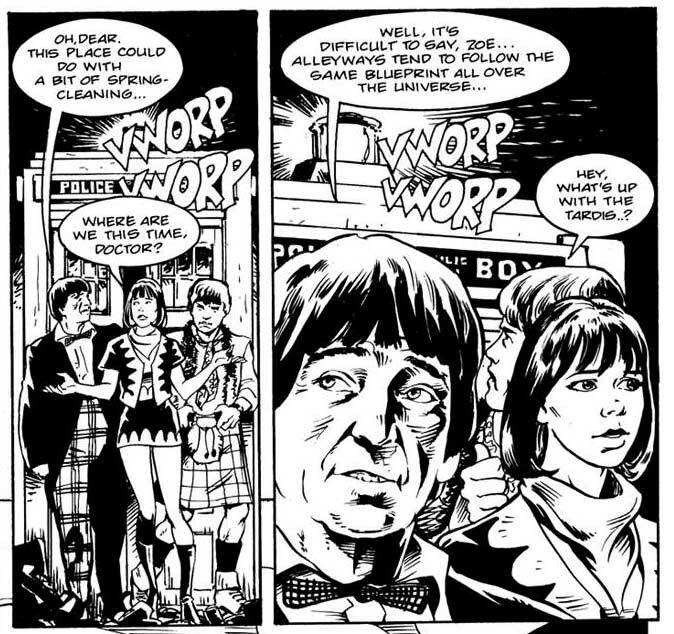 I am apparently a 'contemporary' Second Doctor comics artist, which I think decoded means 'last surviving' artist who has drawn Troughton (in 'Land of the Blind' for Doctor Who Magazine back in 1995). downthetubes: This isn't your first Doctor Who project by any means but it does, I think, mark a return to the character for you after a long absence? Lee: The last strip I drew for Panini was 'Children of the Revolution' in 2002, but since then I've produced art for the BBC webcast Shada in 2003 and the Ninth Doctor drawings for the BBC's website to tie in with 'The Empty Child' and 'The Doctor Dances' episodes. Then, between 2006 - 9, I drew all but one of the Tenth Doctor strips for Fabbri's 'Battles in Time' Magazine. Subsequently I provided line art for Fabbri's 'Doctor Who DVD Files' from 2009 till 2012 which were converted into digital paintings by artist Tom Connell. Also, last year I provided a digital painting for the current Who Annual. So, hardly any Who involvement at all! downthetubes: IDW are keeping their cards close to their chest about the story, but can you tell us which villains feature in the story? downthetubes: Are they a monster you enjoy drawing? Lee: Yes, though they aren't exactly masters of emoting, facially. You can give them a little body language, but even that's limited. I have actually shown them running in this one, which may be a first. downthetubes: You're well known and highly regarded for you work on DWM's Dalek strips. What's the secret to drawing them? Lee: Attention to detail, really, for my style of work. I tried to get all the subtle angles and shapes right, but if you look at TV Century 21 Dalek artist Ron Turner's stuff they are all over the place, but none the worse for that! I've been experimenting with Turner-style Daleks recently for a possible future project . . .
downthetubes: A project like this inevitably attracts comments over likenesses, do you find that limiting given the freedom you have on other projects? Lee: Likenesses are always a problem because the closer you get to them in terms of photographic reference, the less likely they will fit with the drawings that don't use photo reference. This time around, I was able to use screen grabs from 'The Krotons' which opened up a lot more (consistent) reference opportunities, but even so, it's always a bit of a nightmare. I suppose I've worked on so many projects that require likenesses one way or another that I don't really notice the difference any more! I met my long-time comics hero Mike Noble a few months ago and looking again at his marvellous work was reminded how important dynamics and body-language are to storytelling, so I've tried harder than ever to get the character's body-language and gestures right. It's also forced me to sharpen my clothing-folds technique. He really was (and remains) an absolutely consummate artist. 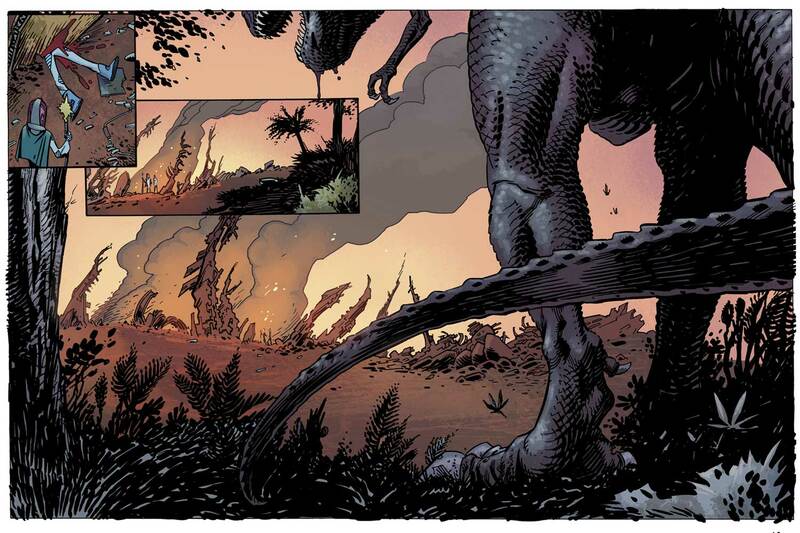 downthetubes: Will you be doing more Doctor Who projects for IDW after this one? Lee: I suppose it depends on how well the guys there like what I've done! I'd certainly like to, they're a nice bunch. I've offered to continue to lend an older & British 'ear' with regards to dialogue for the rest of the series, as it's so hard for the US writers to get the odd nuances of British actors - especially from the past - so verbal anachronisms turn up, which is ironic considering we're dealing with a time-traveller, but they do. downthetubes: Has the way you draw comics changed since you first drew Doctor Who and if so, what's the biggest change? Lee: Without doubt, the digital revolution. Not just in terms of sending artwork (we used to use the post or Federal Express and hope for the best) but in producing the art. I now work with Manga Studio and Photoshop, and use a tremendous piece of kit - a Wacom Cintiq 24" HD graphics tablet, which means you draw or paint directly on the screen with a stylus. For years now I've edited my scanned artwork in Photoshop and now with Manga it's possible to do the whole thing digitally, should you wish to. Thumbnails, roughs, reference, finished pencils, finished art and maybe colour all in the one file. When time is very tight, it's an amazing advantage. downthetubes: 50 years of Doctor Who - what do you think is the key ingredient that's given it such longevity? Lee: A very simple but amazingly flexible format: interesting guy solves mysteries with his pals at any time and in any place. downthetubes: What's your next project? downthetubes: Above anything else, what one piece of advice would you offer aspiring comic artists? 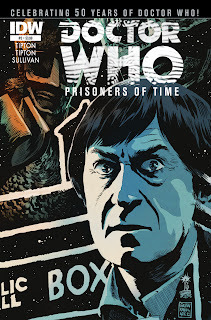 • Doctor Who: Prisoners of Time #2 written by Scott and David Tipton with art by Lee Sullivan is on sale from 30th January from IDW Publishing. Such has been public demand following its successful restaging of the dormant ABC Show last December that Showmasters has decided to incorporate the marketplace into its long-established London Comic Marts on a quarterly basis. Now renamed Comic Empire and expanded to encompass not only British comics from the 19th century to the present day but also such other UK-produced material as pulps, magazines, paperbacks and ephemera, the 2013 shows will be held from noon to 4.00pm on the following Sundays: 3rd March; 2nd June; 6th October. All the events will take place at the Royal National Hotel, Bedford Way, London WC1H 0DG. Dealers’ tables are £50 in advance (£60 on the day if available) and booking is advisable. 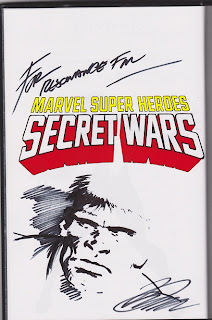 Tim Pilcher, founder member of the Comic Book Alliance, will be giving a talk on Jeff Keen, how comics influenced his work and how he, in turn, influenced (or at least foresaw) the future of comix, this Saturday (23rd February) at Brighton Museum at 2.00pm. Artist and film-maker Jeff Keen (1923-2012) was one of the great figures of the British post-war avant-garde. Keen's work reveals a wild spirit of anarchic play, a fascination with surrealism, and a love of popular culture. His life-long commitment to Brighton & Hove will be celebrated in this display featuring a selection of his films alongside his paintings, drawings, poetry and assemblages. Keen, who worked for Parks and Gardens for several years, spent most of his artistic career in Brighton and used the city as a major inspiration for his work. 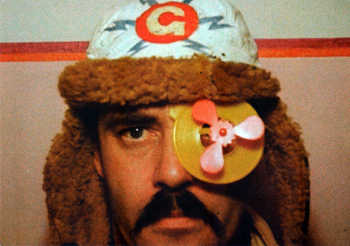 He ignored the hierarchies of the London arts scene and the wider world of avant-garde cinema in favour of a radical commitment to locality and intimate community. Keen’s work focuses lovingly on a close-knit circle of real and imaginary friends at work and at play in and around Brighton & Hove. And since you love comics, why not make one yourself? If you’re aged 7 to 17 and live in the UK, you can participate in the Festival's nationwide contest and stand a chance to win amazing prizes - whether you make it on your own, as a class project, or with friends. A panel of experts will choose the three most inventive and achieved applications. The winners will get amazing prizes, all presented during an astonishing prize ceremony at the Institut Français in London, during the Festival. Aces Weekly - www.acesweekly.co.uk - the exclusively digital weekly comic art magazine that's packed with talent from around the globe - is just one of many British comic enterprises on location the London Super Comic Convention at the Excel Centre this coming weekend. 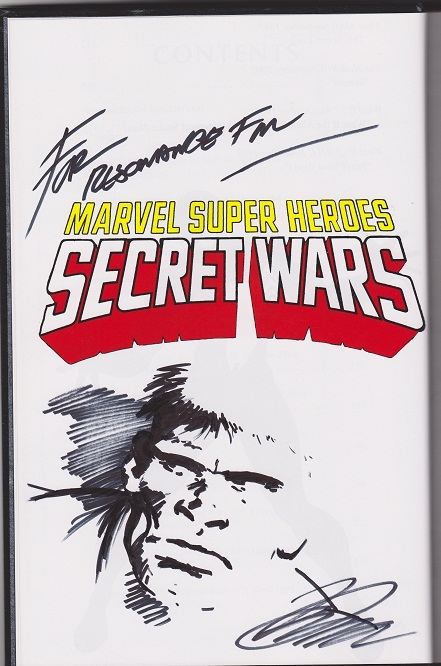 Creators Herb Trimpe, David Lloyd, Ben Dickson, David Hitchcock, Kev Hopgood, Dave Hine, John McCrea, Paul MacCaffrey and many more ace creators will be on Stand D105, ready to sign, sketch and say hi! 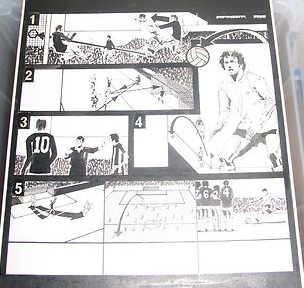 Sample Volume One with a collectible sketchcard from any artist on hand if you're yet to subscribe. Featured guest at the SuperCon include Neal Adams, J Scott Campbell, Lee Bermejo, Brian Bolland, Doug Braithwaite, Neil Edwards, Carlos Ezquerra, Gary Erskine and many more (full 'featured' list here. Leeds-based Thought Bubble has just announced that this year’s festival will run from 17th – 24th November, in conjunction with the 27th Leeds International Film Festival, and the comics convention, a regular feature of the event, will take place on the 23rd & 24th November. You can see more details on their official website, thoughtbubblefestival.com, and they’ll have many, many more guests to announce as the festival draws closer, so keep an eye on Twitter and Facebook to find out as soon as they add new names to the list. This year’s festival icon has been provided by Alice Duke, and the ThoughtBubble team should hopefully have a blog post soon about her process for creating it. "We love it," they say, "and the sci-fi vibe that it’s giving to this year’s proceedings is out of this world. Literally!" Resonance FM, the London based radio station which Panel Borders is broadcast from, is currently running a fundraiser that's going on until 21st February. The Arts Council funding of the station only goes so far (and no programme makers, including Alex Fitch and Marks Pilkington and Stafford, are paid for their time in making shows), so the station has an annual fundraiser the week following Valentine's Day to raise additional cash for studio refurbishment, new equipment and so on.